One (1) piece adult costume that includes fleece dress. 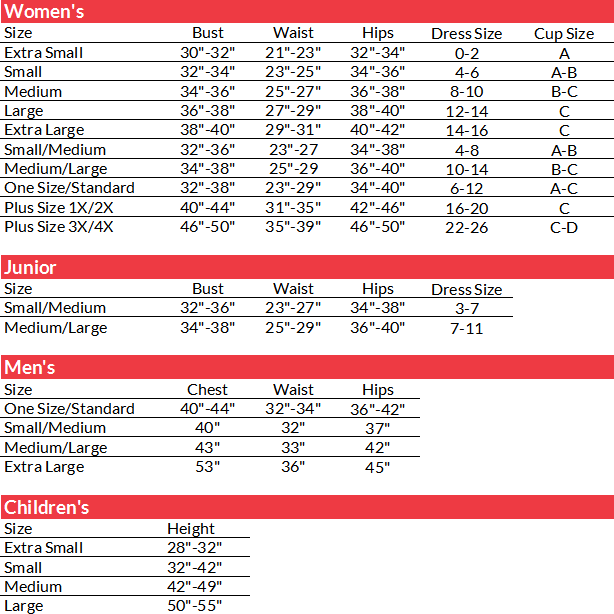 Costume is available in adult women's size small, medium, large, plus size 1X/2X, or plus size 3X/4X. 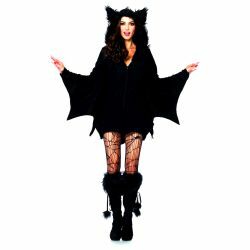 The dress features a zipper front with bat wing sleeves and a furry ear hood. Tights and boots not included. Bats are a classic part of Halloween and now you can create a quick and easy bat costume for Halloween. This costume has the added benefit of acting like a sweatshirt to help keep you warm. On very chilly nights pair this costume up with a pair of black leggings.